Directory of 18 Illinois Turkey hunting lodges, guides and outfitters in Illinois. Guided Turkey hunting package is 3 night, 3 day hunts. They have an abundance of free-roaming wild turkeys on approximately 7,500 acres. The only Orvis-approved hunting lodge in Illinois. B & F Hunting also offers exceptional turkey hunts with a 95% kill rate of Eastern wild turkeys. There have apparently been other types that have mixed with the Eastern turkeys. We now have some interesting variations in our turkeys. We have some of the prettiest turkeys that you will ever see. Some that have been seen have white wings; some are almost 2/3 white. There is one reddish-rust colored hen with snow white wings. It has been seen several times both by the owner and by our hunters in 2008. It also has a 6 - 8 inch beard. The different colored ones must be camera-shy since we have not been able to get a good picture of any of them. They are too far away when we have a camera handy. Big Oak Hunting Paradise offers great turkey hunting on our private lands. We have four turkey seasons here at Big Oak. Turkey hunts are by drawing licenses only, and last from daylight until noon. Guides are available. Big Oak members get a $50 discount on turkey hunts, so don't forget to look into becoming a member! Boone and Crockett Hunting Preserve is a full-service, 420 acre wildlife habitat dedicated to the secure managed field hunting of upland game birds in the Midwest. We also offer 1,600 acres for managed trophy whitetail and turkey hunting. Whether you would like to access the acreage alone, in a group, or with an experienced guide, B & C promises one of the finest shotgun or bow hunting experiences available in the West Central Illinois. We are conveniently located 20 minutes from Quincy, IL and Hannibal, Mo airports. Free shuttle service available. Learn more about Boone's Hunting Plainville Inc. Located just a half hour east of the Quad Cities and 2 hours west of Chicago, Garden Plain Hunt Club offers over 400 acres of woods and rolling hills. Single, family, and Corporate annual memberships are available. Half and full day non-member packages are also available. Guides, dogs, and bird cleaning are available for an additional fee. Archery, deer, and turkey hunts are also available. Not to mention sporting clays and breeding and training of some of the finest bird dogs around. We have large flocks of wild turkey. Our average two to three year old birds are in the 20-25 pound area! With individual old Toms that have ranged from twenty six to as high as thirty-two pounds. It is not unusual to hear from fifteen to twenty-five gobblers of a morning. Welcome to Illinois Wildlife Connections. 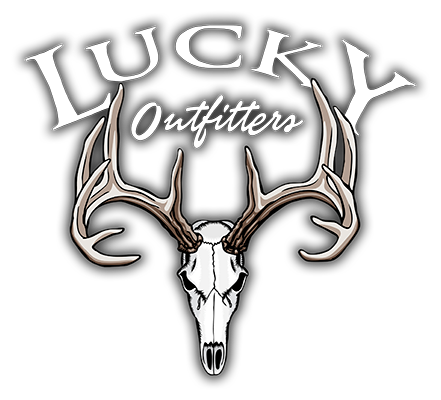 Located in the heart of South-Central Illinois we currently manage over 5,000 acres for Archery Only Whitetail Deer and Eastern Wild Turkey. We strive to provide you the best opportunity at a trophy animal with clean comfortable accommodations and excellent meals at an affordable price. We also offer Illinois turkey hunts. We have a lot of prime whitetail habitat, and with that comes a very healthy population of wild turkeys. If interested in a turkey hunt, please contact us. Only mature gobblers are harvested and we have an excellent success rate. Hunts are guided or semi-guided depending on experience. Fall and Spring hunts are available. Deer, wild turkey, rabbit, squirrel, dove and coyote hunting are allowed during their seasons. Rack & Wing took off in 1997 when the farm was seeded down to native prairie grass. Being a life long farmer and an avid outdoors man, great values are built into Rack & Wing. Friendship and honesty are our main policies and goals. Rack & Wing is a year around hunt club. We have almost everything you could need to have a great time through out the year. Our whitetail and wild turkey hunts throughout Northwest Illinois will bring you back year after year. One bird in America's woodland epitomized the world "wild" in wildlife. The turkey has a keen sense of sight and hearing. One false move by the hunter and this bird has flown or run into the next county. The wild turkey trusts no living creature. Wrapped up in some of the most beautiful plumage is a high strung bird which is hunted hard by gobbler chasers. Since 1949, the grounds of the Richmond Hunting Club, have been visited by thousands of local sportsmen. October 1st marks the beginning of hunting season when our members are anxious to get afield and get their hunting companion in shape for the upcoming season. We offer Ring-neck pheasant, chukar and Hungarian partridge, turkeys, Bob White quail, and duck shooting at its finest. Club hunting at Rogers' is an amazing experience. We are located only 2 hours from downtown Chicago in the pristine country north of Ohio and south of Dixon. Upland hunts can be done in different terrains from open meadows to wooded thickets and fence rows. Natural non-cropped fields are supplemented with plantings of various wildlife feed and cover which supports a strong resident population of game birds. Although we specialize in guided hunts, members can use their own dogs. If there was a hunt for which we were going to offer a guarantee, a turkey hunt at The Hunt Club might be it. Although we can't guarantee anything in the sport of hunting, we can say that this is an absolutely fantastic place to harvest a trophy gobbler. In recent years the state of Illinois has certainly seen an explosion in the turkey population and our property is no exception. Our chef (and wife of Ron) Jill, who hardly ever gets out of the lodge counted 138 turkeys crossing a field 1/2 mile from the lodge!